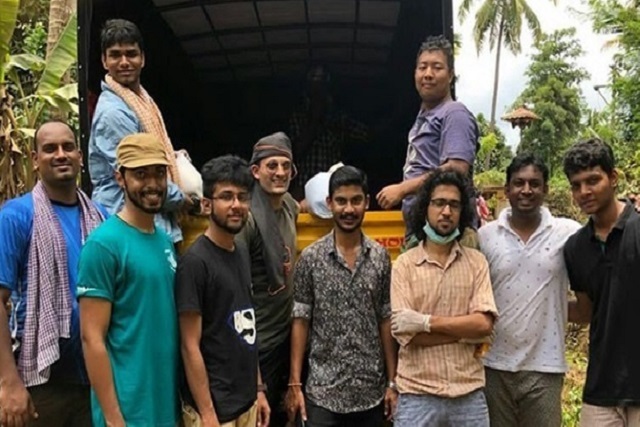 “I saw an old man sitting by the ruins of his house crying and waiting for help,” said Lt Akshay D Mandlik, head of the Department of Social Work at St Joseph’s College (Autonomous), who headed a team of volunteers from the college in relief work in Kerala. The team said it received a lot of contributions from students and staff of the college, as a result of which it had to move the goods from the NCC store room to the spacious Aloysius Hall. “We planned well, from making multimedia to posters, and setting up accountant and documentation teams,” he said. “As soon as we got the green signal from Fr Principal and Fr Rector, we went ahead.” “I would really like to put on record the work done by the students of our college in Kerala and Coorg,” he said.